We all have them floating round! Put a random picture up! 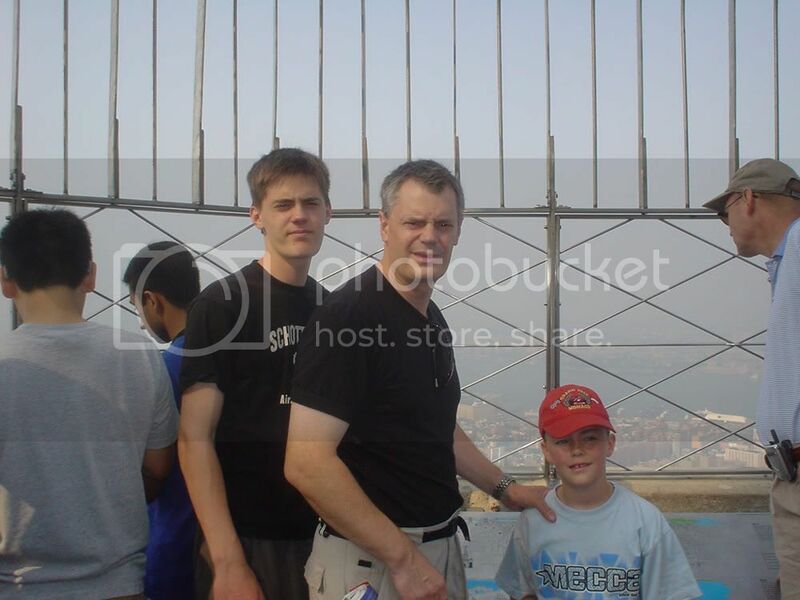 Heres the first one I came to, me on the empire state building looking happy as always! Re: Post a random picture!! Hehe, you look excited...and you really look like that man, Im guessing its your dad, you have the same posture, and the same arms.. I do like that picture, makes it look handdrawn. Most people just say it looks a mess, but I love it to bits. Picture of the house me and my family rented during our vacation in july last year, at Yachats Oregon. It's RIGHT NEXT to the coast. Rocks and sand right next to the shore, right next to the house. Mike, your running a P2? Oh my god. Which OS? Where abouts are you in the world, Ill send you a 1Ghz Amd Athlon XP lol, you need it man. I just meant the processor, and an old motherboard lol..
What kind of memory does it take?